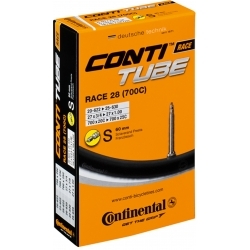 700c Inner Tubes We have 11 products. 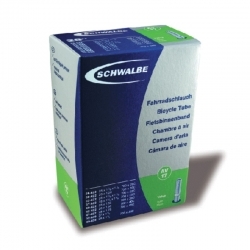 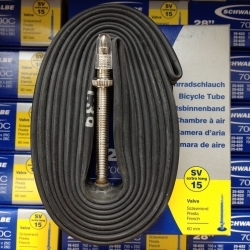 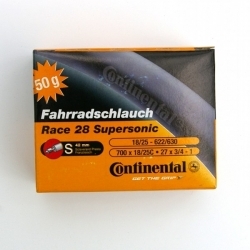 This high quality Schwalbe 27 x 1 1/4 inch inner tube comes with a schrader / car type valve. 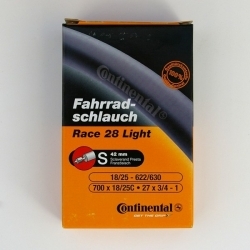 £8.49 £9.99 -15% Back in stock really soon! 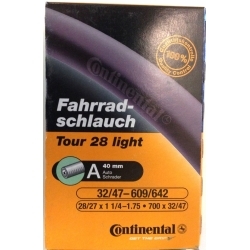 Continental tour 28 light bicycle inner tube with Schraeder / auto / car type valve. 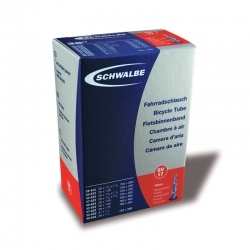 £5.09 £5.99 -15% Back in stock really soon! 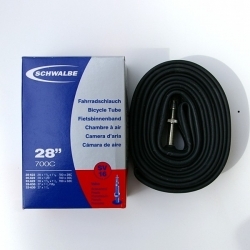 This high quality Schwalbe 27 x 1 inch and 28 x 1 inch inner tube comes with an extra long 60mm presta / racing type valve. 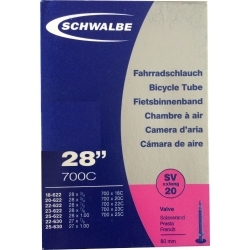 This high quality Schwalbe 27 x 1 inch and 28 x 1 inch inner tube comes with an extra extra long 80mm presta / racing type valve. 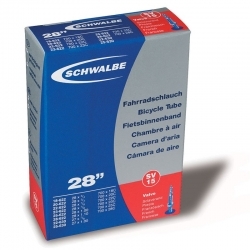 This high quality Schwalbe 27 x 1 inch and 28 x 1 inch inner tube comes with a presta / racing type valve.